Earlier this year, Palumbo Superyachts, the Italian superyacht new build and refit group, announced the launch of its new syncrolift following an intense technical period that included excavating the seabed, building the underwater containment walls and transferring the platform on its supporting columns and fixing it on its stands. The new lift is now operating at Palumbo Superyachts’ Ancona shipyard and was inaugurated during the launch of Columbus’ 80m Dragon project. In addition to its main facilities, the new syncrolift facility, which has been dubbed the “Ship Lift Platform 3300”, has the ability to handle superyachts up to 3300 tons and 110m in length. 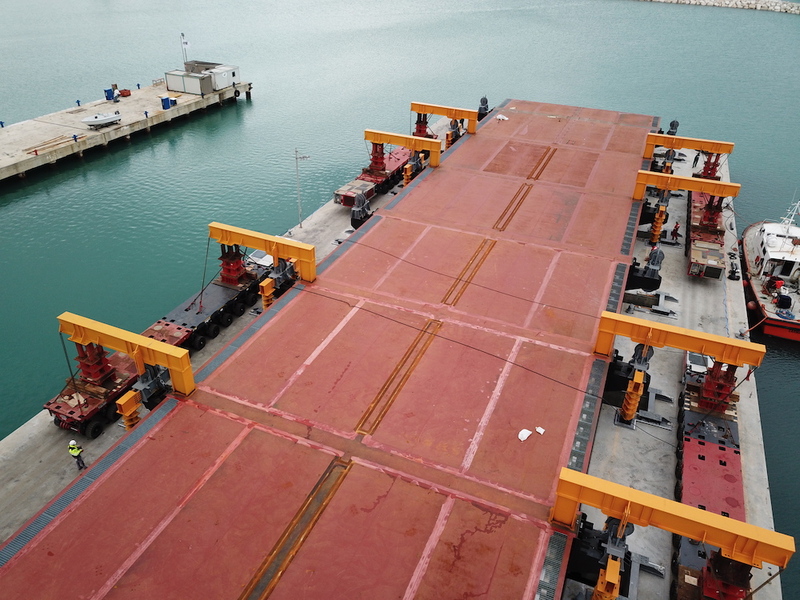 Technically, the new system consists of an 81m long and 19m steel platform that is support by 14 large winches that allow the platform to lift superyachts with a maximum draft of six metres. The new syncrolift, which required an investment of around €6 million, will be used for both large new build and refit projects. This investment clearly highlights the Paulmbo Superyachts’ desire to become increasingly competitive in the construction of large superyacht projects across both key disciplines. According to SuperyachtIntelligence, Palumbo Superyachts' new build division, which is comprised of ISA Yachts, Extra Yachts, Columbus Yachts and Mondomarine in the 30m-plus market, has six current projects in build. 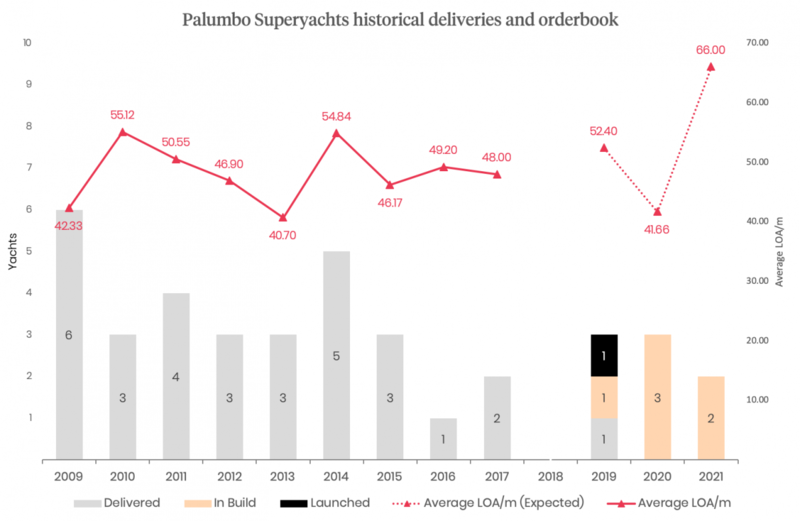 It should be noted that data above refers to the deliveries and orderbooks of the aforementioned brands, but ISA Yachts and Mondomarine have only fallen under the auspices of Palumbo Superyachts following the acquisition of both yards in 2018 as part of Palumbo Superyacht’s growth strategy. One would expect, following the acquisitions, that over the coming years Palumbo Superyacht’s new build output will ramp up and move towards the figures posted between 2009-2015 and, in light of the new snycrolift, it is likely that Palumbo Superyacht’s will become increasingly important player in the new build and refit of large superyachts.